It wouldn't be Fall without giving your regular coffee order a break & switching to spiced Starbucks toddy's, now would it? Nope, not in my opinion! Personally, I think the most enjoyable thing about Fall is the tasks and preparations we do whilst transitioning into the crisp & cool season! You know, getting the brown and red, leafy wreaths out, leaving a bowl of candy-corn out in the kitchen to snack on, going shopping for light sweaters and long-sleeves, & the topic of this whole post- changing your coffee order to something more seasonally appropriate☕️. Below I will share a few of my favorite things to order around this time of the year (from Starbucks, to make it more universal); so, keep on reading if you're looking for that perfect taste of Fall! I found out about this super yummy drink a couple years ago & I actually haven't had it in such a long time. 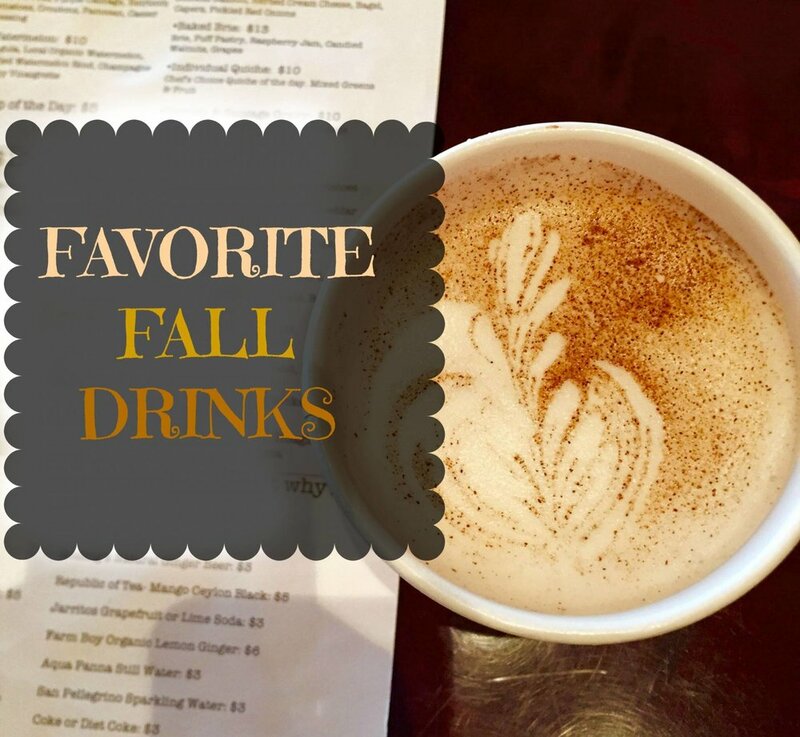 So, when I was creating a drink list for this post, I got super excited about trying it again this Fall because I just remember it being so delicious! Yes, order it iced; it doesn't get that cold in October in FL. Plus, it' a very photogenic drink, which we all know is key for those people who only drink coffee to Instagram it. Uh huh, you don't fool us. (And yes, I know I post coffee pics too; the difference is that I actually enjoy the coffee. A lot.) Order it by asking the barista for raspberry syrup instead of vanilla syrup in your caramel macchiato. I used to go to Starbucks and get iced Chai Tea Latte's; which I liked, a lot. Then one day, totally random and for no reason, I decided to get a hot one instead. Ever since that day, I don't think I'll ever order an Iced Chai Tea latte again. Ok wait, I take that back. Maybe I'll order it once in a blue moon, however, I really do prefer the hot over the iced. For some reason, the hot one is just a lot subtler in chai-ness (yep, made up that word) & you can taste more of the creamy milk base which I really enjoy. Also, I've tried Chai Tea Latte's from various places like Einstein's, Panera, & Barnies (which is where the one in the picture is from), as well as Starbucks and they're just as good. So, don't hesitate to order one at a place that isn't Starbucks. I'd have to say, these cups of deliciousness are my classic Starbucks orders. For some reason, I just love love love Skinny Vanilla Latte's. Hot, cold, backwards, & upside down; you name it, I'll drink it! I order these year round and usually in the iced form because of FL's heat, but I think once October and November roll around, I'll switch to hot ones. What I like most about them is that they're sweet, but not make-your-stomach-hurt sweet; which I'm sure is something everyone can appreciate. I mean it when I say it doesn't matter how they come, Skinny Vanilla Latte's are my surefire go-to's. So, the last drink I chose is actually one that I haven't even tried yet. I know you're probably like, "Why is she suggesting a drink that she doesn't even know the taste of????" Well, It's more of a 'we should all try it' sort of thing. Basically, I was looking online at some seasonal Starbucks drinks and this one came up! It sounded very appealing to me, so I thought I'd put it on the list so that you guys could try it as well! I think I'd get a hot one because I feel like spiced drinks always taste better warm. Maybe I'll get one before school tomorrow morning and see if it tastes as good as it sounds. OH! If you're wondering why I didn't mention Pumpkin Spice Latte's anywhere in this post and really thought FOR SURE that I would, it's because I very very strongly hate the taste of them☺️. If anyone has any favorite fall coffee/tea drinks of their own, make sure you let me know in my ask.fm, dm me on Twitter or Instagram, or simply in the comments below because I would very much love to try them! !